After a day of judging at the Scotch Pie Club Awards I had a bit of time to kill. What better use of that time than to try and answer the question for myself; what is the best Scotch Pie? 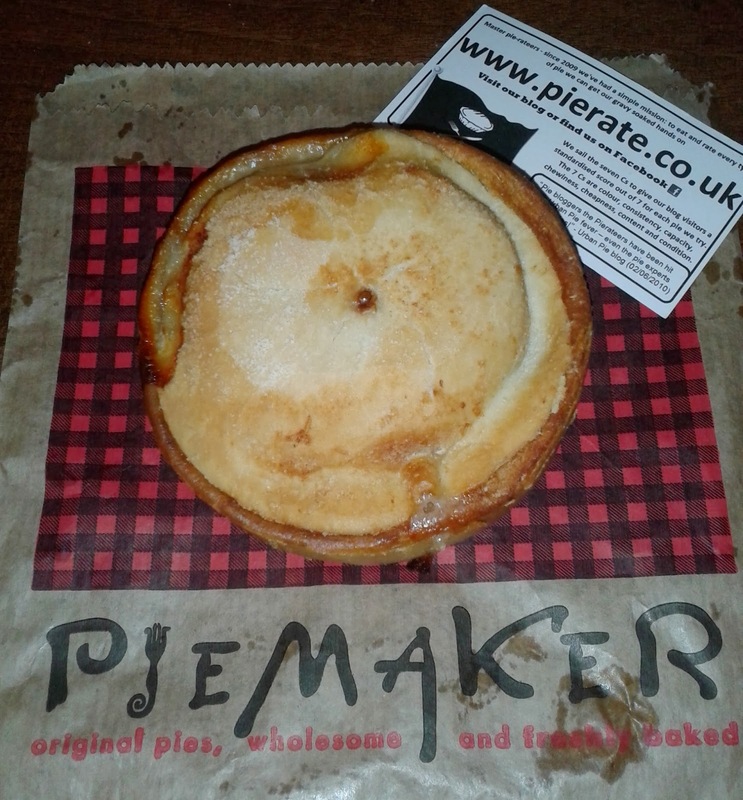 Scotch pies on the go aren't as easy to find in central Edinburgh as they are in other parts of Scotland. That is why Piemaker provides such a valuable service and is usually so busy. Located on South Bridge they are really in the heart of the city with many hungry people rushing by. After having looked at their website and the promise of '30 different products' I was slightly underwhelmed by the selection of pies they actually had. There was a relatively small hot counter and while there were numerous products not that many were actually pies considering the name 'piemaker'. Some were top crusts and others were alternative pastry products such as bridies, pasties or tattie rolls. 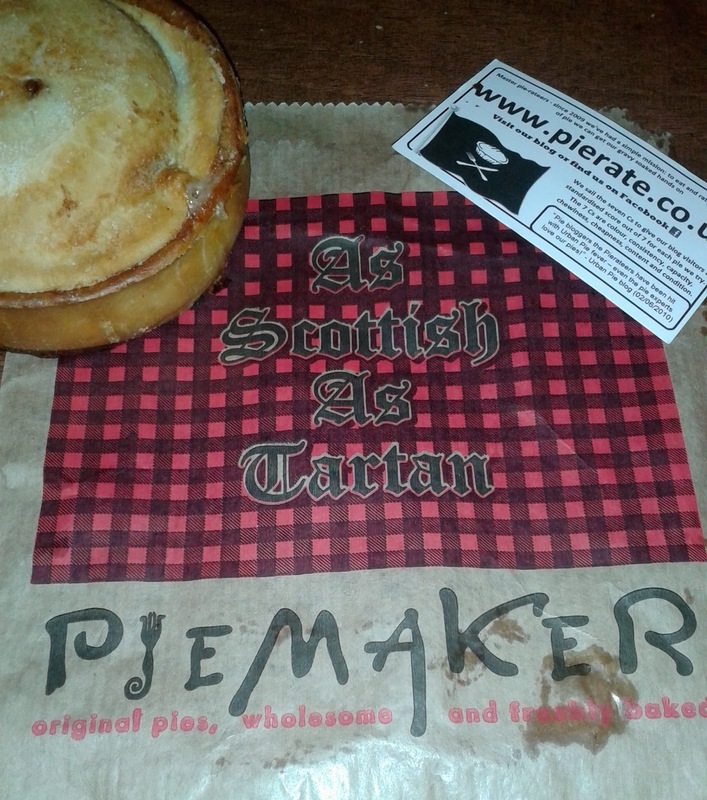 However, all of your favourites are there, macaroni pie, steak & ale and of course the all important Scotch Pie. Costing £1.15 this might be slightly more than you can get a Scotch Pie for but that is not the full picture. At Piemaker what I liked is that they have a counter where you can sit and take a short break to enjoy your pie. 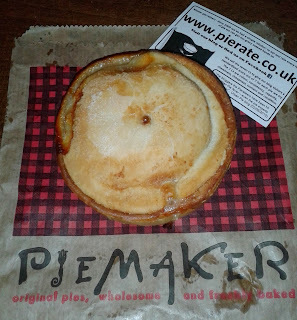 Too often, because the Scotch Pie is such a portable delight it is easy to end up eating it on the move. Considering you can (kinda) sit in I think £1.15 scores very well against the cheapness category. They also serve proper coffee and other food which all adds to the experience. However, make no mistake, this is an old school establishment, nothing like the modern gourmet pie and mash shops such as Urban Pie, but the lack of pretension was something I liked about Piemaker. So what were their Scotch Pie actually like? I must admit that I was really hungry at the time but I found this pie particularly satisfying. It wasn't exactly the leanest of meat in the pie but this helped keep it moist. It seemed like it was mutton to me, particularly as that is normally more fatty. The pastry had just the right amount of crunch necessary for a Scotch Pie but wasn't dry. There was a strong onion taste which meant it wasn't lacking in flavour. The meat was quite compacted and there was a little bit of an air gap under the pastry lid. The meat seemed to be formed into a disc shape, quite independent of the pastry, almost like it was simply a burger which had been placed inside some pastry. This made it seem a bit mass produced. 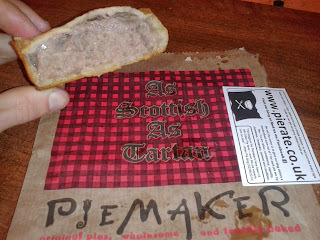 It didn't taste dissimilar to a burger either which isn't unusual for a Scotch Pie. However, overall the texture and taste was about right and this is one I would eat again. 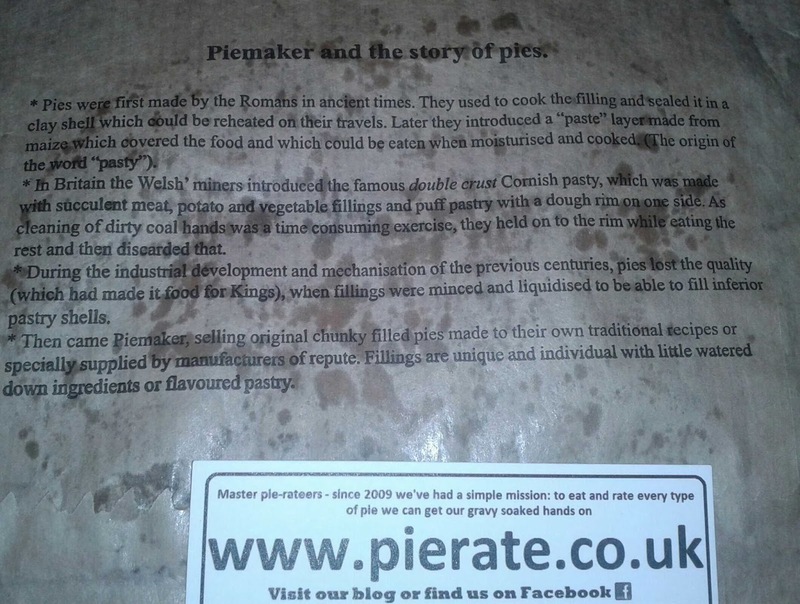 One thing that seemed a bit ironic was that upon questioning I found out Piemaker didn't actually make this pie. It was made by FAS Products Ltd in Airdrie. But at the end of the day it doesn't really matter and for a mass produced pie this one was pretty good. P.S. 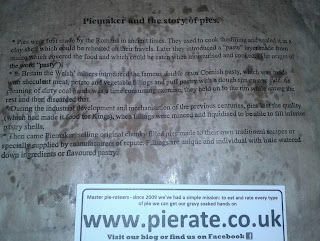 If you read 'Piemaker and the story of pies' they try and claim to have single-handedly saved the world from bad pies. They seem to have a sense of humour!